Known as "Colorado's Perfect Ski Mountain", Copper Mountain is a quaint, high-elevation resort that offers a friendly atmosphere, an award-winning trail layout and the longest season of snow in the Western United States. Copper Mountain is a "user-friendly" destination. As a lodging guest you are entitled to the Bee-Line lift ticket and will avoid the long lines seen at many other ski resorts. Located 90 miles west of Denver and 110 miles northwest of Colorado Springs airport (COS), Copper Mountain boasts 2,600 vertical feet and over 2,400 acres of reliably snowy ski terrain. What makes this mountain especially unique is its fantastic trail system; by using the mountain’s natural characteristics, beginner, intermediate, and expert runs have been strategically separated. As an effect, Copper is not only an excellent place for first-time skiers, but is also great for children- one of the many reasons it has gained a reputation as a family-friendly ski resort. Copper Mountain was specifically designed to be a ski resort, and as a result, everything is centrally located near the base of the mountain. There are three villages, East, West, and Center Village – which serves as the resort's core. You’ll find quite a large assortment of things to do in this fun, relaxed, yet classy atmosphere. From burrito stands, ice skating rinks and rockin’ pubs, to fine dining, quaint pottery painting studios, and Vodka bars- Copper Mountain has a little to offer for all tastes. 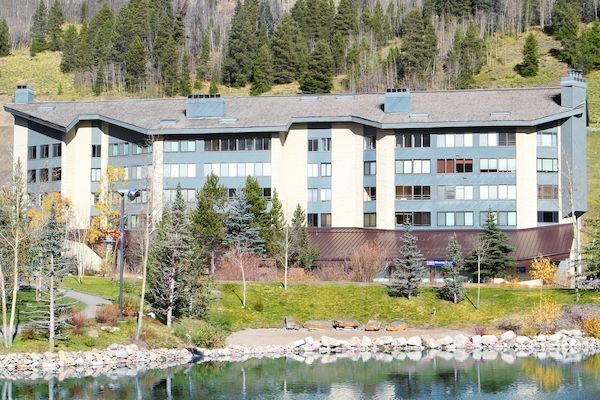 And for those not interested in taking advantage of the resort's fabulous skiing, there is also a multi-million dollar athletic club open to all, boasting a 25-yard lap pool, a huge indoor hot tub, racquetball courts, and an amazing weight room facility. Previously, when booking lodging in Copper, you would select your preferred Village, and type of property – for example a gold rated 2 bedroom condo - and then Copper would have allocated you to a specific building which was not guaranteed. However, Copper has implemented changes for the 2011/12 ski season which now allows clients to choose a neighborhood within the villages, some 'neighborhoods' only include 1 building or property, and others include 4 or 5 different properties. In our lodging descriptions you can now see which properties are in each neighborhood and village to help you pinpoint exactly where you want to be. In addition to the listed lodging there are a few smaller neighborhoods with very limited availability – so if you have stayed somewhere not show on our webpage’s, just ask us, and it may be possible for us to book you into your favorite Copper lodging.